The School of Ballet Arizona Students. Photo by Rosalie O’Connor. What if you could enroll your child in a program that offers strength building, discipline, and educational benefits? Sounds like a parent’s dream, doesn’t it? In ballet class, your kids will learn all those things and more. Plus, they will look super cute while doing it. Ballet requires a person to have strength and agility. At the School of Ballet Arizona, we focus on developing children’s muscle strength in a way that is both fun and beneficial. Strength training also teaches kids how to exercise and sets them up for a healthier lifestyle in the future. Parents of children who are particularly shy have noticed that after a few ballet classes, their child seems to have more confidence. This is because once a child sees that they are able to master a new skill, they generally feel a great sense of accomplishment. With this new drive, kids tend to express eagerness to learn more, which helps build self-esteem. Along with learning how to properly strengthen their body, ballet teaches kids basic ways to stay healthy. This includes proper stretching techniques, flexibility practices, and discovering physical limits. It’s important that kids learn this at a young age so they can avoid injury in the future and establish healthy habits. Ballet is an art form. It inspires children to be creative and learn how to express themselves through movement. With live piano accompaniment in all of our classes, children are exposed to an even truer sense of relationship between dance and music. Also, classical ballet is a great starting point for those who want to explore other forms of dance as well. Each dancer must exhibit and show respect to their ballet masters and mistresses. This requires discipline and focus for children of all ages. We, of course, show each and every dancer the same respect we wish to receive in return. Ballet is very much a “team sport” in a sense. Children must work with others to master the routine and create unity. 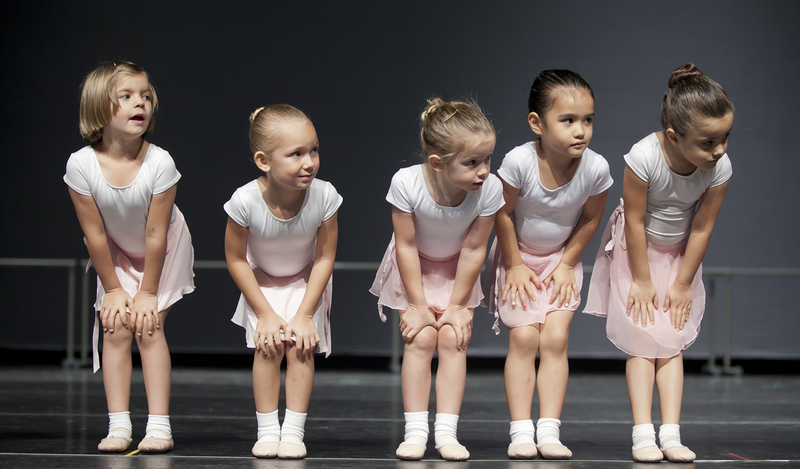 Working with others improves children’s social skills too—another benefit to signing your child up for ballet class! The School of Ballet Arizona provides dance training based on the evolving yet traditional concepts of classical ballet. Offering a wide variety of classes across a range of ages and skill levels, The School of Ballet Arizona is proud to offer comprehensive dance training that meets the expectations of professional dance companies, as well as those looking to dance as a supplement to enrich their lives. For more information about The School of Ballet Arizona and the classes we offer visit our website! I like what you said about having your child master a new skill and consequentially improving their overall confidence. Ballet seems like a great way to stay in shape, make friends, and improve your self-image. I want to enroll my daughters in ballet, so I’ll be sure to help her find the best class in town. It’s great that this article talks about how attending ballet dance classes help kids become more confident as they master a new skill. When choosing one, it would probably be a good idea to talk to your child about what they’re interested in and then research local classes. This could give you the opportunity to find one that they can enjoy and with a skilled instructor who can help them develop their dance skills.